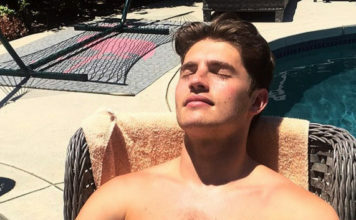 While we’re eagerly waiting to see British actor Gregg Sulkin in Marvel’s upcoming TV series The Runaways, he decided it was time to relax a bit. So he took his shirt off, and went to Mexico for a wet vacation… and we’re enjoying the view. 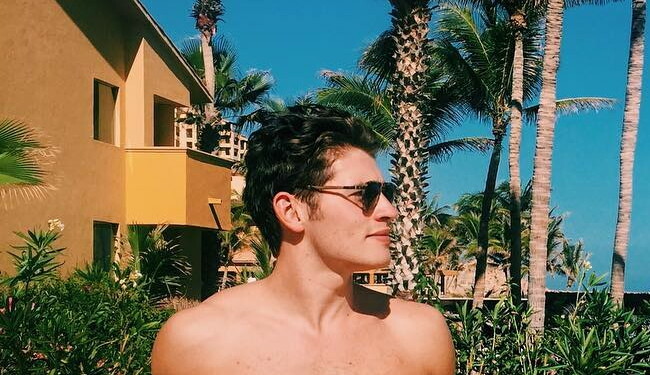 25-year-old actor and model Gregg Sulkin went to Mexico for a well-deserved relaxation time. He started by getting wet in the pool – with all his clothes still on. Then, Greg took his shirt off and worked on his tan for a bit. Then he was shirtless AND wet, having a quality meal INSIDE the pool. And finally (for now) – an outdoors shower.